Florida Alcoholic Beverages and Tobacco Division on June 26, 2017 imposed a CIVIL PENALTY on El Bohio Cuban Restaurant in Lantana, Florida for alcohol violations. The most egregious charge was MISREPRESENTING BEVERAGES SOLD. According to the Florida Alcoholic Beverages and Tobacco Divisions report El Bohio Cuban Restaurant had two additional liquor violations VENDOR TO VENDOR SALES and POSSESSION OF BEVERAGE NOT PERMITED. Misrepresenting alcoholic drinks is illegal and in addition a violation of consumer trust. El Bohio Cuban Restaurant served their own customers a spirit that was not what was ordered. Often times unethical bars, restaurants, and clubs will serve patrons a ‘well’ liquor of lower grade even when the customer orders a brand name ‘top shelf’ premium liquor. The motivation for selling bad booze is to increase profits. But the consequences of getting caught are damming. The public should permanently boycott any establishment that knowingly serves ‘Fake Alcohol‘. Hospitality insiders know that establishments that take risks especially with alcohol and liquor laws are often also taking shortcuts in their operations that could also compromise public health. To search liquor violations and alcohol enforcement use the SafeProof.org map. To report additional liquor tips about El Bohio Cuban Restaurant or other establishments call toll-free (833) SAFE-TIP or use the secure and anonymous form. For additional updates follow @SafeProof on Twitter and sign up for email alcohol violation alerts. 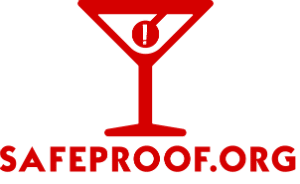 SafeProof.org mission is to raise awareness for fake, tainted and counterfeit alcohol. Our goal is to keep you and your drinks safe.